Hi, my name is Salim Jiwa. 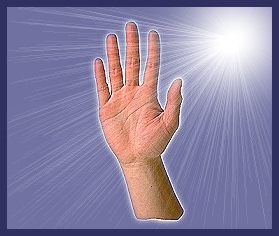 I am a Palmistry, Palm Reading Consultant with the British Astrological and Psychic Society. I have been interested in Palmistry from a young age. Through the art of palmistry I can tell from your lines and mounts on your palm your potential and your abilities. I can help you to think positively by identifying your strengths and weaknesses; this would in turn give you the dreams you are yearning for and help you avoid making mistakes. This is power of palmistry. Are you having difficulties in fulfilling your objectives in life, relationships, emotions, career, health, wealth.....? LET ME HELP YOU. I can tell you your past, your present, and predict your future. Palm reading, Palmistry has proven record and has been practiced for centuries. Palmistry is an ancient art originating in the east and filtering the west.